- 18h30: film "Europe at the foot of the walls" written and directed by Elsa Putelat and Nicolas Dupuis. Almost 30 years after the fall of the Iron Curtain, the EU is closing its borders. Through their documentary, Nicolas Dupuis and Elsa Putelat question the European policy of withdrawal. - 9:30 pm: concert Gabriel Saglio, The Old Pies and their guests, "The Song of the Rowers". 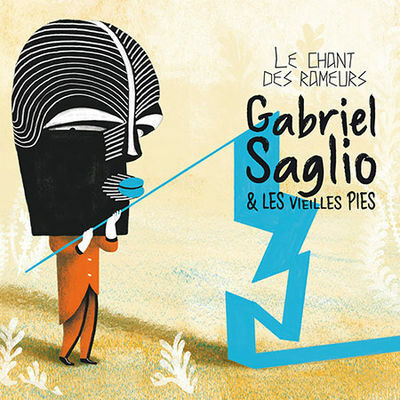 In his new album the elegant singer-traveler Gabriel Saglio embarks on this fabulous journey his band always "The Old Pies" and some big names of the African music. For his concert at La Muse Gabriel Saglio invited Malian singer Fanta-Sayon Sissoki and kora player Adame keita. Gabriel Saglio and Les Vieilles Pies received a Coup de Coeur from the Académie Charles Cros for the album "Le chant des rowers" (released in February 2018). Entrance: movie + concert 17 €, movie only 5 €.